Feel more empowered, calm the choppy waters of daily life! 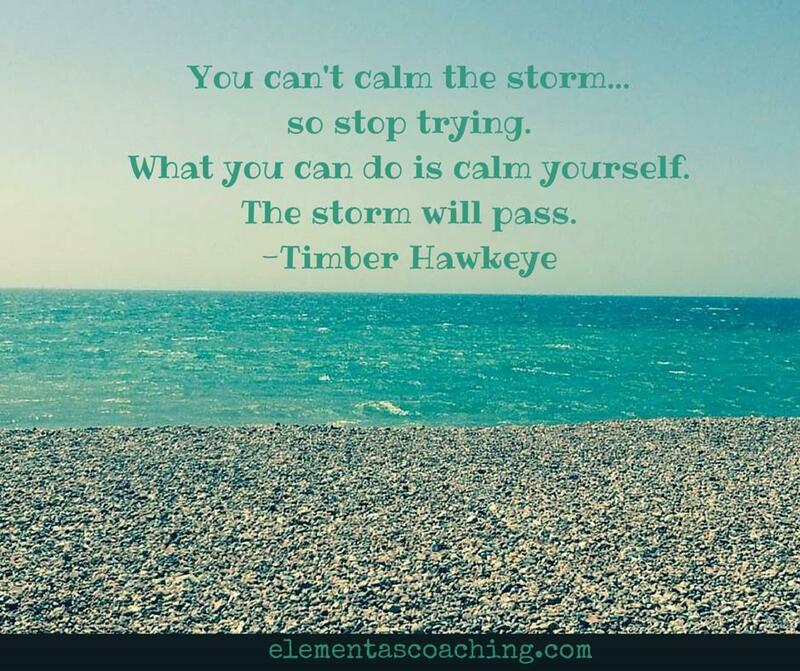 What wonderful wisdom from Timber Hawkeye, combined with a powerful image stunning colours and message from the elements. (Brighton Beach UK, July 2015). How often do we try to change what is outside of us? The external weather system of our daily lives that we interact and engage with; be that people, events, situations. This can take so much energy and sometimes be exhausting, leaving us depleted and drained thrown, around with the daily events, taking us nowhere. I know, I have often experienced it! By coming inside we start to notice our own personal internal weather systems. Here we can start to work with our breath as an anchor to balance our internal energy. Practicing slow deliberate in and out breaths. By starting to watch our thoughts, our ideas our feelings and body sensations (without judgement) we can start to create a shift within. This may be small at first, fleeting, just for a moment. And then, with practice we can start to experience our exterior world through new eyes. Notice the difference. This in turn impacts our inner world. It is a slow process and we may need to train our brains to think differently. The results can be really powerful as we start to feel more empowered and less vulnerable to the choppy waters of daily life. Enjoy. Lou (Image taken Brighton Beach UK, July 2015). Mark Zamarin once said that attempting to change the world around you is like trying to comb the reflection of your hair in the mirror. Turn the comb on yourself–only then will the reflection change. Next PostNext Are you showing off your true colours?